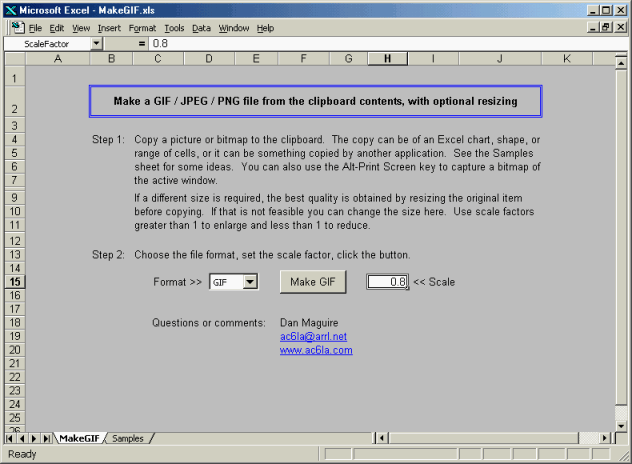 The MakeGIF utility program allows you to create a GIF, JPEG, or PNG file from any picture or bitmap that you have copied to the clipboard. Optionally, you can resize the image as part of the process. 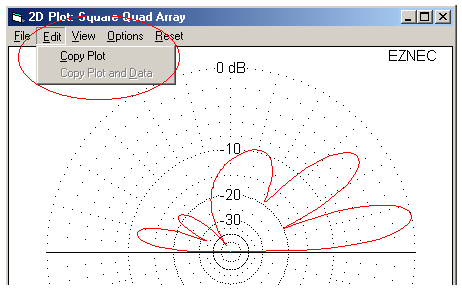 Many antenna modeling programs have menu functions to make a clipboard copy. 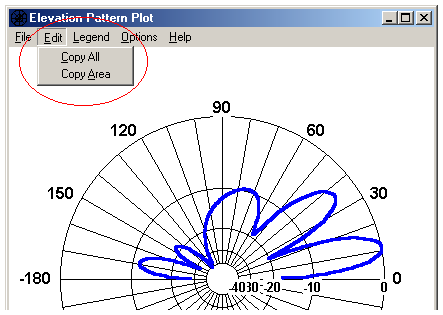 For example, when using EZNEC you can copy the View Antenna, 2D plot, 3D plot, and SWR plot windows. The NEC-Win Plus+ program by Nittany Scientific has similar capabilities for the Azimuth and Elevation (Phi and Theta) plots, the NecVu and NecVu Currents windows, the SWR and Impedance plots, the Surface (3D radiation) plot, and the 3D View window. You can also make a clipboard copy of the entire active window by pressing Alt-Print Screen, as was done to capture the image at the top of this page. Note that when you reduce the size of the copy the resulting image is not quite as sharp and clear as the original but is still quite acceptable. Download the MakeGIF utility. Free. Requires Excel 97 or later.